The Hatteras Plan-New Construction. ECO Home CERTIFIED, 2x6 Walls, R19 Insulation.FNT PORCH.HUGE FamRm w/GAS F/P. Kit. 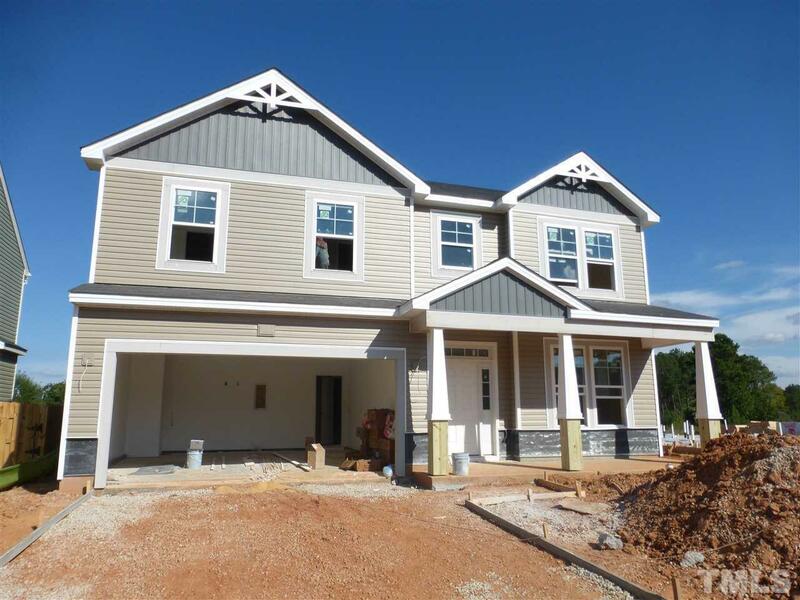 features GRANITE Countertops, TILE Backsplash, SS APPLs, & Lrg ISLAND.FORMAL DinRm w/COFFERED Ceiling. 4 Bdrms + OFFICE. SECURITY SYSTEM. LOW-E WINDOWs. Garage KEYPAD. Lots of UPGRADEs thruout! 10Yr STRUCTURAL WARRANTY. Great SCHOOLS & LOCATION! See Agent Remarks! Builder Name: H&h Constructors Inc.
© 2019 Triangle MLS, Inc. of North Carolina. All rights reserved. Information deemed to be reliable but not guaranteed. The data relating to real estate for sale on this website comes in part from the Internet Data Exchange TM Program. Real estate listings held by brokerage firms other than Coldwell Banker Advantage are marked with the Internet Data Exchange TM logo and detailed information about them includes the name of the listing brokers. Listing broker has attempted to offer accurate data, but buyers are advised to confirm all items. Information last updated on 2019-04-19.